RedBack Lasers Self levelling D273R 3 dot laser level with plumb up and down plus level with magnetic base. 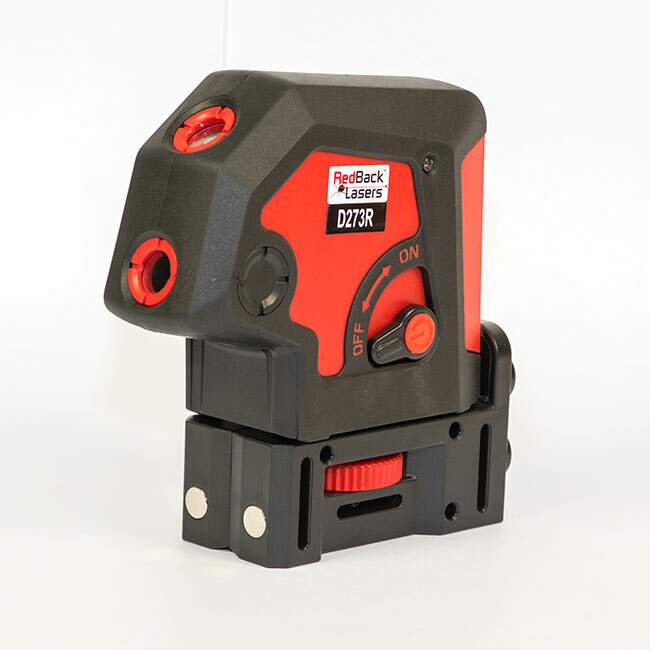 The RedBack D273R is a professional trade quality auto levelling 3 dot laser level. Plumb up and plumb down plus a horizontal dot for level. Dot lasers provide the most visible laser for internal fit out applications and can be used outdoors over reduced ranges with the aid of a target. The RedBack D273R features pendulum lock for secure transit between jobs and is built tough with substantial pendulum assembly and rubberised housing. The RedBack D27 range of lasers all come with a removable magnetic base that can also be attached to both 1/4″ and 5/8″ tripods, wall mounts and monopoles. 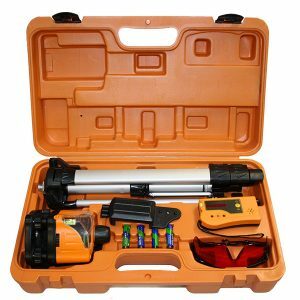 The D27 range by RedBack Lasers comes in a handy hard shell carry case which holds the laser, magnetic mount and laser target. The D273R is ideal for any job requiring transferring points from floor to ceiling such as electrical installation plus provides a horizontal reference to level various projects such as window and garage door installation. The D27 range come with an automatic 2 year warranty.